Oscilloscope 2.4 GHz. 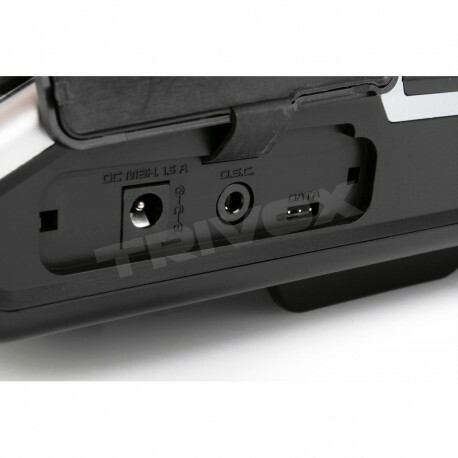 Set includes: Transmitter with Tx LiPo battery 4000mAh, Tx battery charger, plastic armrests, transmitter hooks, Micro SD card, upgrade of PC cable set. 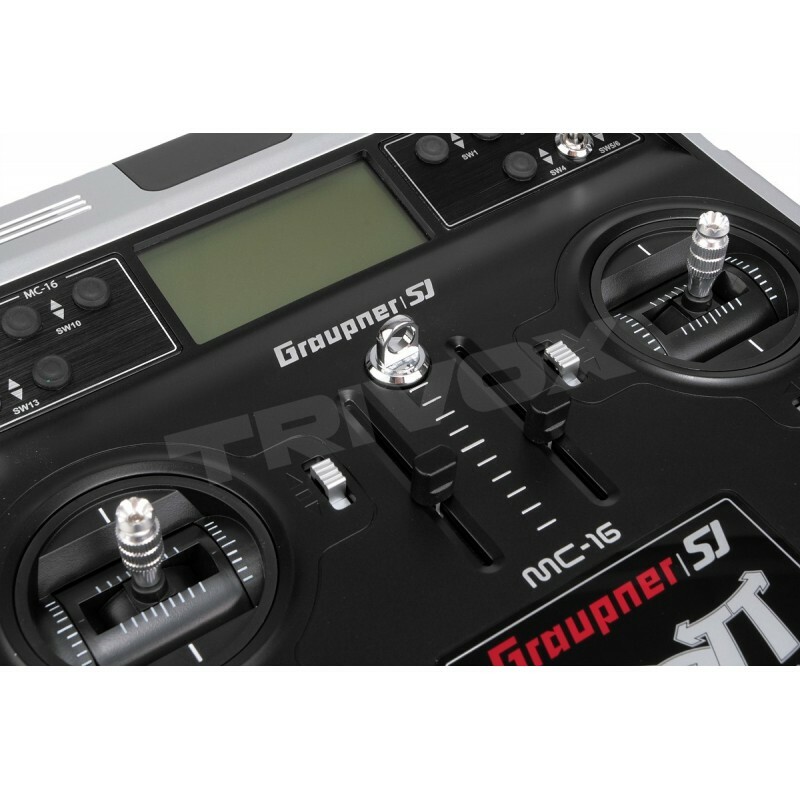 Graupner MC-16 HOTT 8 management functions and technologies Graupner Hott enables advanced control of a wide range of RC models. Using Graupner Hott 2.4 GHz transmission technology ensures high reliability through bidirectional communication between transmitter and receiver with integrated telemetry and ultra-fast responses. RC rig MC-16 has 20 model memories, easily accessible programming buttons, high contrast 8-row blue backlit graphic display, which ensures perfect display of all setting parameters and telemetry data. 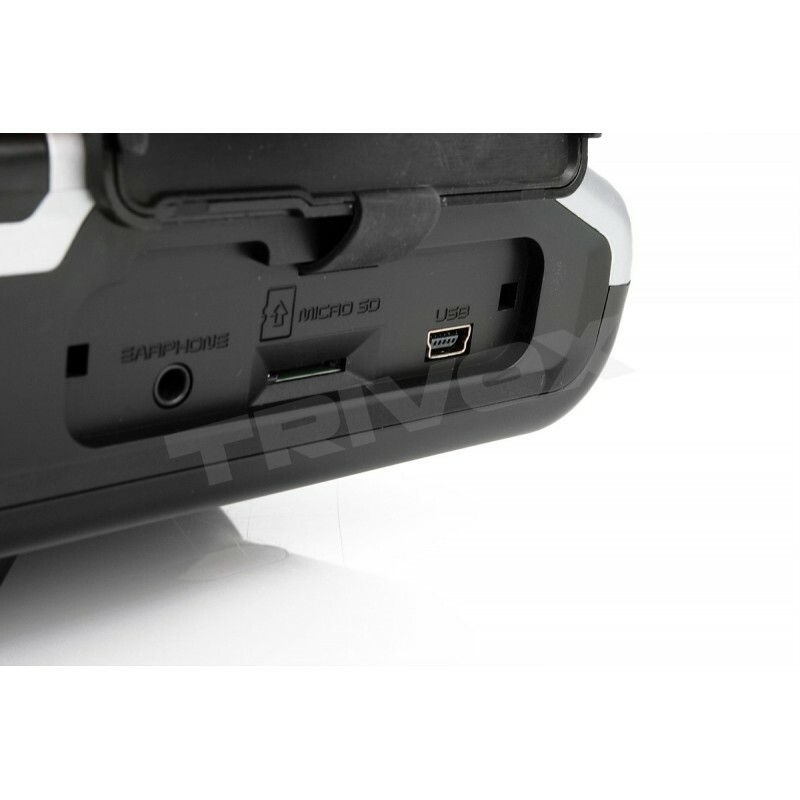 It is also possible to store data telemetry and memory models using micro-SD memory card. With its 12-bit 4096 data can be very sensitive control model. The transmitter is equipped with a USB port for reading and storing data models, the firmware upgrade, including voice output for headphones. Bidirectional communication between transmitter and receiver. Ultra-fast response time direct data transfer from the main processor to 2.4 GHz transmitter - a very reliable transmission. No further delay for the sake of other modules in the signal path. 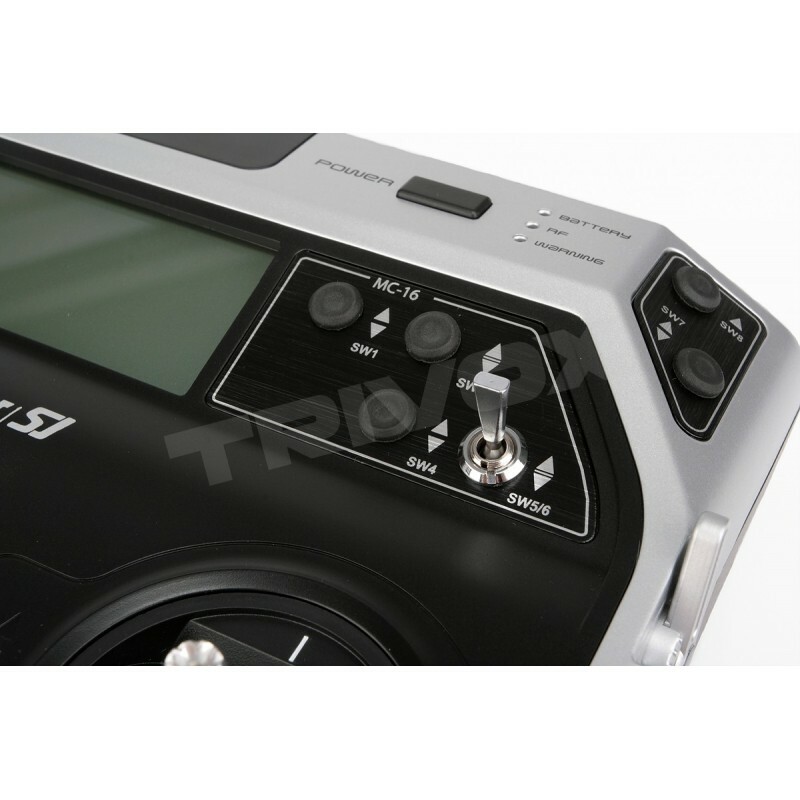 High-contrast blue backlit graphic display ensures perfect control over parameters such as model type, model memory, timers and battery voltage. Telemetry data display directly on the transmitter display, incl. programming options. Extensive programming options for model airplanes and helicopters. Installation menu endpoints EPA for all channels. Sub-trim for setting precise neutral position of all servos. 2-stage exhibi- / Dual-Rate-System, individually adjustable, switchable in flight. Programmable Fail-Safe function "Hold" or "adjustable position" for each channel. Stopwatch / countdown timer with an alarm function. 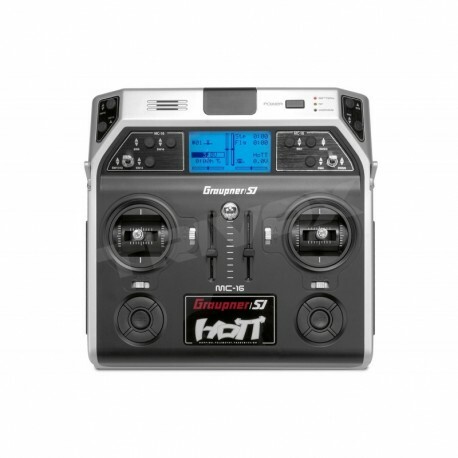 The kit includes: Transmitter with 4000mAh LiIon Tx battery, charger 220V / 200mAh, micro SD 4GB, Graupner USB interface adapter cable to transfer updates Tx Adapter cable to update the receiver, transmitter hooks / brackets transmitter plastic sides. General sensor module for Graupner HoTT for models with electric motor. Number of Lixx cells: 2-14S (60V), current 150A (up to 320A short-time), operating temperature 0-120C. Telemetric Smart Box - LCD for imaging telomeres and setting up uncomplicated HoTT components (telemetry modules, receivers, speed controllers). Temperature sensor 0 ... 120 ° C, Voltage sensor 0 ... 60 V DC. Temperature sensor 0 .... 200 ° C, Voltage sensor 0 .... 60 V DC. Measuring speed up to 100,000 rpm for 2 leaf propellers. Weight: approx. 5g, dimensions: 22 x 13.5 (26) x 9 mm, operating voltage: 3.6 ... 8.4V. Torque knob for MC-16 and MC-20 Hott - RIGHT. Torque knob for MC-16 and MC-20 Hott - LEFT. Knife with button (off / on) for MC-16 and MC-20 Hott - LEFT. Knife with button (off / on) for MC-16 and MC-20 Hott - RIGHT. 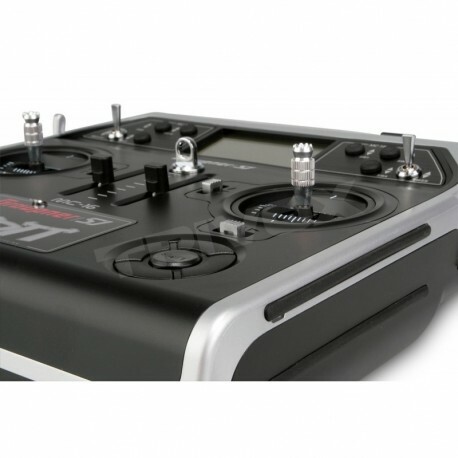 Transmitter for MC-16 and MC-20 HOTT in carbon design. Knife with three-position circuit-breaker with one torque function for MC-16 and MC-20 Hott - LEFT transmitters. 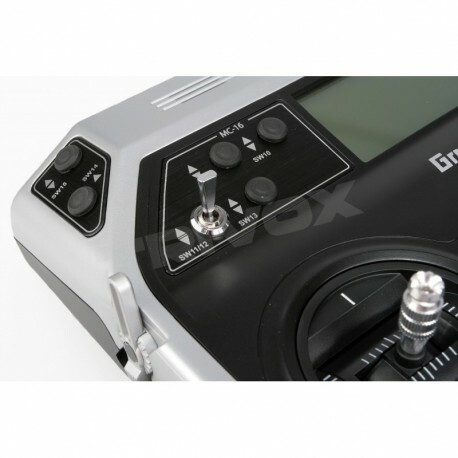 Transmitter for Graupner HoTT MX-20 / MX-16 / MX-12 / MX-10 transmitters.